Everyone knows at this point that Netgear’s Arlo lineup consists of the best wire-free home security cameras in the world, but they’re also very expensive. They’re also not perfect, and some people like to explore other options. 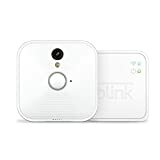 For example, if the idea of having to recharge your Arlo cameras every 3-6 months is a turnoff, you might want to check out the Blink Indoor Home Security Camera System. These cameras offer all the basic features you would expect from any home security camera, but they’re also wire-free and they run for up to 2 years before you need to change the batteries!